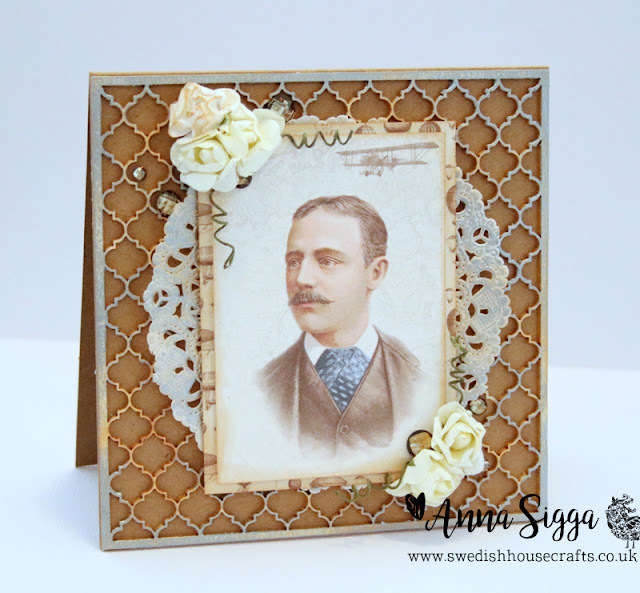 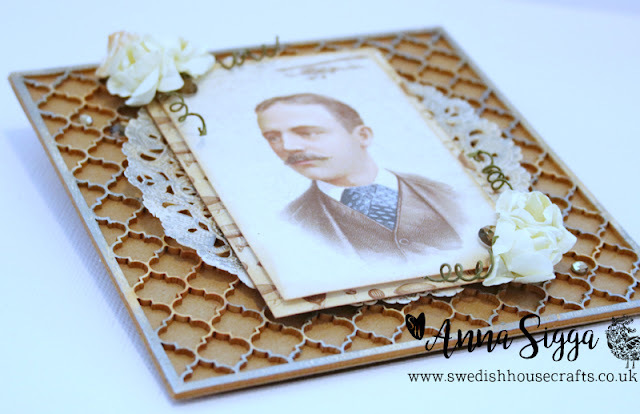 Hi, it's Anna Sigga here and I have another creation to share using the stunning The World Awaits collection by Pion Design. I just love those small images that come with the collection so I thought I would use this image as the main focal point of my card. 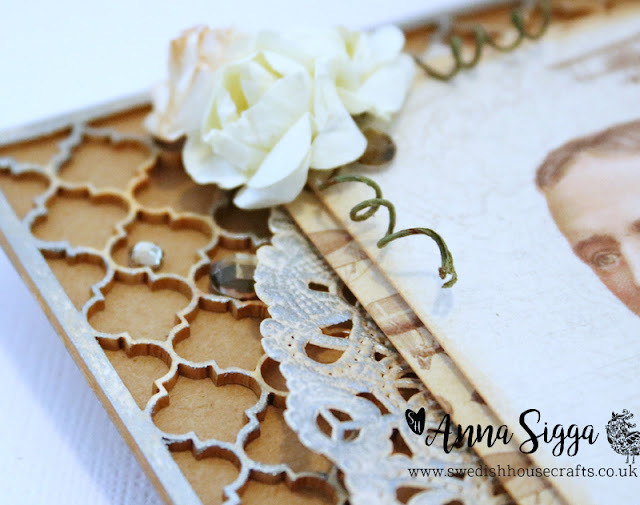 I created the background by using the Damask Square by Laserowe - inked it with Distress ink Viva InkaGold in silver for added texture. 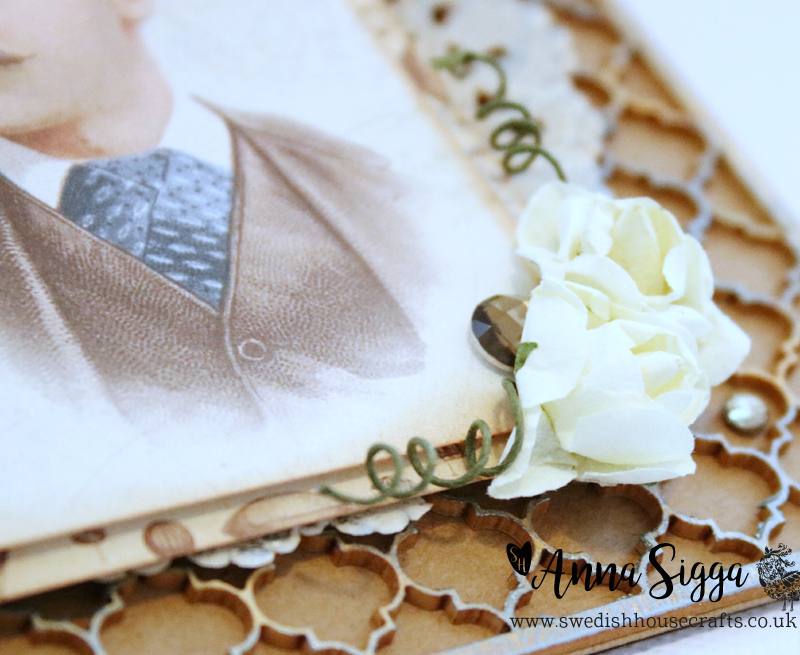 Then I just had to add flowers and gems to complete the look.